Lakeside Union School District upgrades to CA school nutrition solution eTrition! 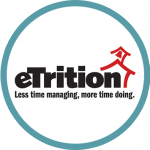 Harris School Nutrition Solutions is excited to announce that Lakeside Union School District, located in Bakersfield, California will soon upgrade from their legacy Meal Tracker software to eTrition SaaS, our cloud-based K-12 school nutrition solution. With the upgrade, Lakeside will benefit from a centralized database, consolidated reporting, and access to all data from any Internet connected computer. Lakeside can look forward to improved efficiency overall, as well as significant savings in both time and money. Congratulations Lakeside Union School District!